How do you add a Resource Calendars? In addition to scheduling meetings in Google Calendar, G Suite users in your organisation can manage resources that people share. The most common example of a resource is a meeting room. Other examples include projectors, company fleet cars, guest offices, recreation equipment, or any other resource people might schedule a time to use. 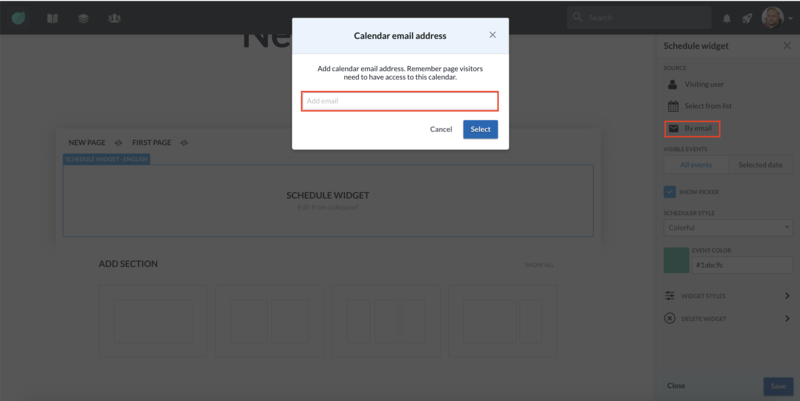 There are two different places that you can use Calendars within Happeo. The first is Channel Calendars and the second is Calendar Page Widgets. To add Resource Calendars can be added to Channel Calendars by going to the Calendar tab in the Channel Navigation and then look on the right hand side under Users you will see Resource Calendars dropdown. 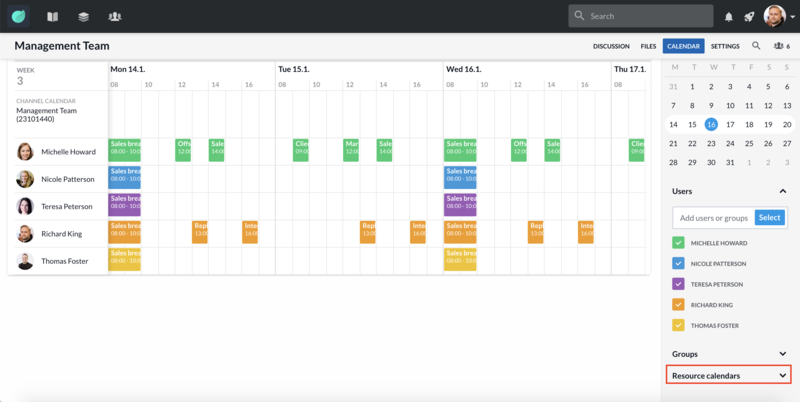 It is possible to add a Resource Calendar to both a Schedule and Month Page Widget. To do this you will first have to add one of the Calendar Widgets to the a Section in your Page. 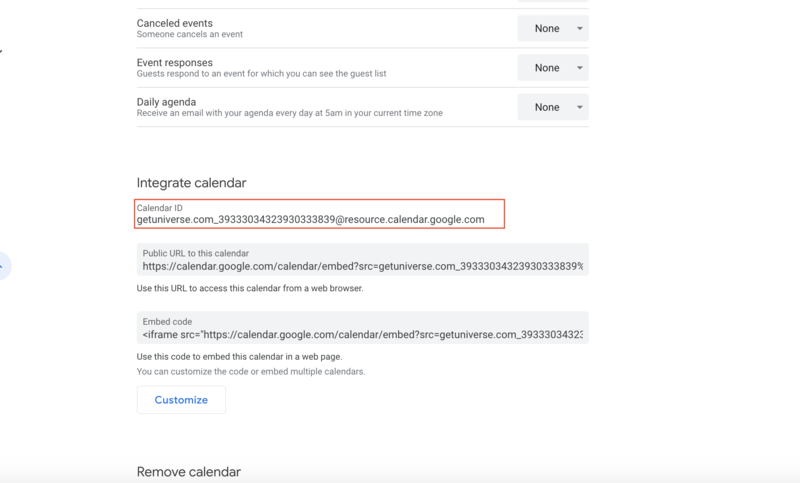 Then you will need to go to your Google Calendar and find the Resource Calendar that you would like to include on the Page. 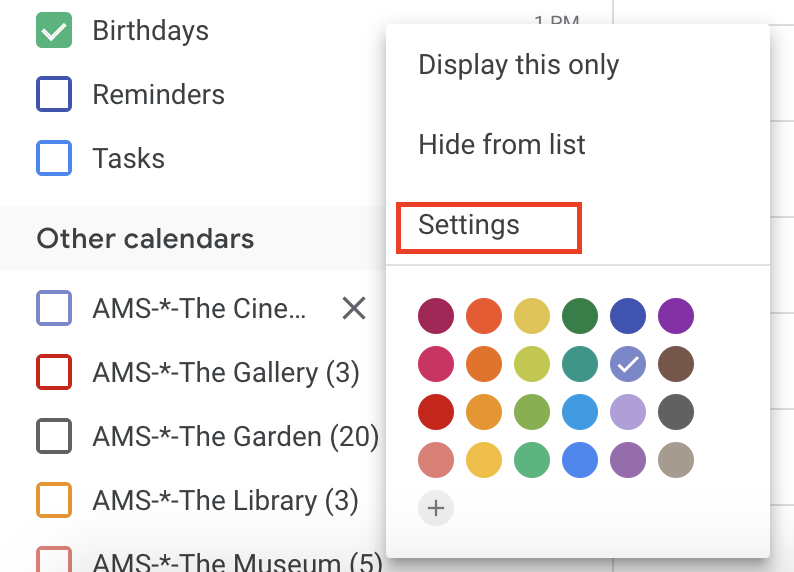 When you have found the correct Resource Calendar you will need to go into the calendar settings. You can then paste this Calendar ID into your Calendar Page Widget.